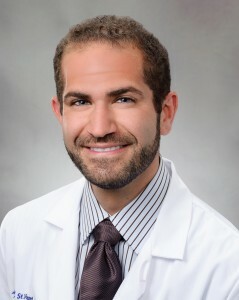 Dr. Korkigian is the newest edition to the physician team at Ear, Nose and Throat Specialists. He is an Assistant Clinical Professor at Michigan State University and an active resident mentor. Dr. Korkigian provides comprehensive care in the diagnosis and treatment of ear, nose and throat conditions including those in the pediatric and geriatric populations. While equipped to offer care for any of your general ear nose and throat problems, he has also completed sub-specialty training in the management of head and neck cancers. He is able to offer advanced procedures for cancers involving the mouth, throat, larynx, skin of the head and neck, sinuses and nasal cavity, thyroid and salivary glands including the latest surgical techniques in microvascular reconstruction. Dr. Korkigian believes that each patient and medical problem is unique and aims to deliver the highest quality patient centered care that focuses on the total health and wellbeing of the patient. He looks forward to helping you with any of your ear, nose and throat problems.